I'm sitting on my bed, a big cup of tea next to me and Michael Bublé's christmas album in my ears - what is it that makes christmas so special? To me, christmas isn't about religion or faith in a certain thing or person. For me, christmas is snow, cold and dark. Letting candles and the light of your christmas tree brighten the days and nights. Christmas is hot chocolate and candy. Movies you've watched a million times before, but you love them as much each time. Christmas is sleeping, hiding under your warm covers. Christmas is calm, quiet and lovely. 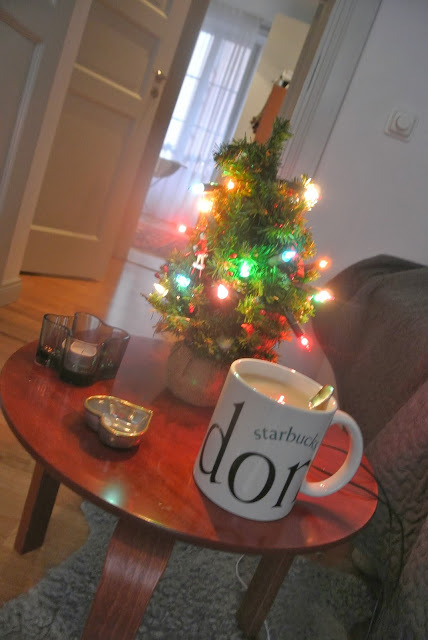 Cute little Christmas tree !